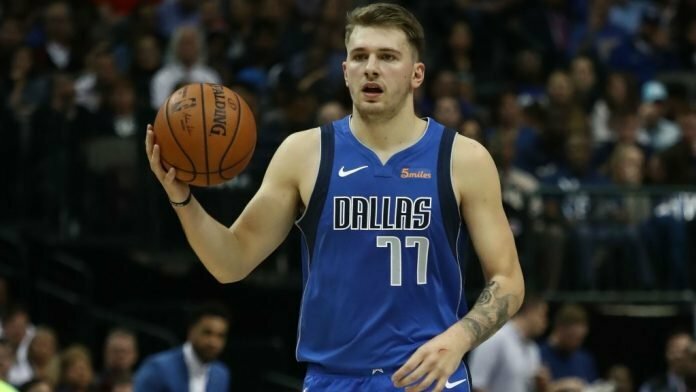 Home Basketball Luka Doncic One for the Future? Before entering into the NBA Luka Doncic was harshly criticized for not being an explosive enough player and that he lacked athleticism. But since coming into the NBA he has been the name on everybody’s lips as he is in the form of his life. So much so that Luka is currently one of the favorites to win the NBA Rookie of the year award. Before the draft Doncic was constantly overlooked and criticized for his lack of athleticism. There were three teams who passed on him even though he was named the MVP in the second-best basketball league in the world. Prior to beginning his career in the NBA, he played for Real Madrid who is the best team outside of the NBA. Doncic managed to lead Real Madrid to four championships where he also won a couple of MVP awards in both the Liga ACB and the EuroLeague. In June of 2018 the young star’s life changed, a dream came true when he was drafted by the Atlanta Hawks as a third overall pick. But soon after he was traded by the Hawks to the Dallas Mavericks. Since the arrival of the young prodigy there has been a huge buzz inside the Dallas’ American Airlines Center, which hasn’t been there for the last few years. Many have said that Luka has been playing like a player beyond his age, a mature player. 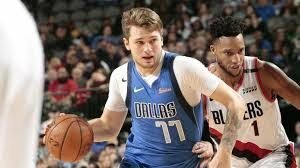 Doncic might be the best thing to happen to the Mavericks since the franchise championship team during the 2010-2011 team which has been torn apart. Since then the Mavericks have only managed to average 28.5 wins with the team losing a lot of support. Even with the legendary Dirk Nowitzki, the Mavericks have been failing to sell tickets. But times seem to be changing again and that’s all thanks to one man, Luka Doncic. The Mavs have not been scared of promoting their star because they see a lot of potential in him. 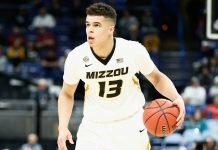 Some even saying he could become the next Dirk Nowitzki. If you look around Dallas, you’ll see billboards that headline “The Future Is Here” and that certainly is the case because the rookie is putting up incredible stats thus far averaging 18.3 points per game with 43.5 percent shooting. He is also averaging 5.7 rebounds per game and 4.3 assists. His stats seem to be increasing with every game he plays with him being an extremely versatile small forward. Most recently he blew the Dallas American Airlines Center away by leading the Mavs to a comeback to beat the Houston Rockets. 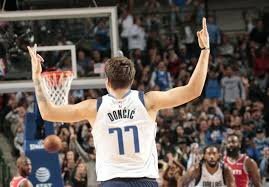 The young rookie managed to score 11 straight points in the 4th quarter to lead the Mavs to victory showing he is definitely fearless and a clutch player. Let’s hope Maverick fans placed the right NBA bets for that game! It certainly appears that this young rook could be the future of basketball if he keeps his head and keeps playing the way he is. He is proving all the criticism to be wrong by performing incredibly in the best basketball league in the world. We should all definitely keep an eye on him as he is going to continue to make waves throughout the NBA.